We’d love your help. 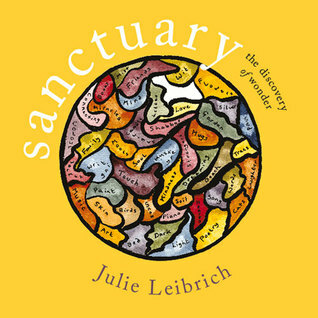 Let us know what’s wrong with this preview of Sanctuary by Julie Leibrich. A loving and poetically written exploration of sanctuary - a collage of poetry, memoir, diary, photography and more - based around the themes of Time, Place, People, Mind, Body, Spirit, Stillness, Space, Solitude, Simplicity, Slowness, Silence, Mystery, Meaning and Miracle leading to a sense of wonder and home. Refreshing to hear from a New Zealand voice, in a New Zealand context, in the contemplative realm. “i felt as if I did not belong to myself any longer: i had locked myself out of myself.” - so began julie leibrich’s pilgrimage within, to find and cultivate a safe, sacred inner space, and to recover after an overwhelming experience of depression. this book is a generous reflection on reconnection, on the value of contemplation and communion. it left me with a deep craving for quiet and a strong sense of the value of prioritising my relationship with myself.